Law office | Lawyer Bulgaria, Lawyers in Sofia | Whom we serve? International Law Office D. Vladimirov & Partners provides services to small and medium-sized businesses, ranging from start-ups and new ventures to well-established companies. We are capable of providing assistance in many different areas of expertise to help you grow your business. We are your reliable partner in all matters of law, providing you with the opportunity to focus your time and resources on developing your career. We work with a variety of organisations and industries but we do specialise in providing services to small businesses, manufacturers and distributors, real estate developers and contractors. Also, we can serve technology and R&D companies, banks and other financial institutions. International Law Office D. Vladimirov & Partners serves a number of financial institutions and private lenders and has established many practice areas to match your business’ needs. Our lawyers are experts in corporate counsel, banking and lending practice areas and are familiar with the unique needs of banks and other financial institutions. We also provide legal advices to clients on lending and financing operations. You can rely on our routine assistance in closing down complex financing, loan transactions and acquisitions. We have experience in representing companies in private loan, equity investment transactions and collections related activities. Our legal team is well-versed in meeting the needs of small businesses. We advise both new ventures clients and established small companies. As an owner or CEO of a small business, the legal landscape can be quite challenging for you. We act as a fractional in-house counsel advising our clients on various state, federal, and corporate requirements. We are aware of what is necessary for the small businesses. Establishing new contracts, working on human resource issues or negotiating a difficult financial transaction — we can cater to all your needs. Our lawyers are well experienced in operation with all forms of business organisations, including sole proprietorship, general and limited partnerships, corporations, and single and multi-member limited liability companies. Corporate counsels are an important element of achieving success. Your legal team ought to comprehensively approach every legal issue and prepare business and legal analyses concurrently. Meanwhile, there is a need of help in setting appropriate business course. Corporate counsels guide the company to attain its goals, anticipate any potential issues and serve as a moral compass for the organisation. However, not every company is in the position to have an in-house lawyer. Some businesses consider expenses for an in-house legal team outweigh the benefits of it. Other businesses face problems when their legal counsels do not hold sufficient expertise in particular areas of law. Since it has been established, International Law Office D. Vladimirov & Partners has acted as general counsel for many different companies in Bulgaria. Our clients are members of varied industries, including manufacturers, distributors of materials, and real estate developers. Our lawyers are committed to figuring out all the complexities and needs of the clients’ businesses, regardless of their scopes. We are capable of addressing particular issues or questions, and we can also provide a legal review of the businesses on a need-to-know or on-going basis. When necessary, our firm has the capacity to provide assistance to the legal teams of our clients. We provide an optimized and effective legal counsel, whatever the legal needs of your business may be. International Law Office D. Vladimirov & Partners has worked extensively with the real estate industry. That includes real estate developers, contractors, brokers, property management companies, landlords, and commercial construction companies. We have great experience in it and are capable of handling any and all of your real estate needs. It is proven it through our successfully working with all of our clients in the relevant practice areas. Our transnational lawyers are able to provide good quality counsel and representation throughout any of the stages of property acquisition and construction. We can do it starting with initial planning and development, going through contract preparation and including performance. We are also very experienced in litigation and dispute resolution and we can help your business to make decisions quickly and effectively. International Law Office D. Vladimirov & Partners also has got dedicated commercial real estate practice committed to serving your needs, and routinely advises clients with respect to national environmental statutes and regulations. International Law Office D. Vladimirov & Partners provides services to a number of manufacturing and distribution businesses. Concluding new manufacturer and supplier agreements or negotiating for these agreements is essential to managing your business. 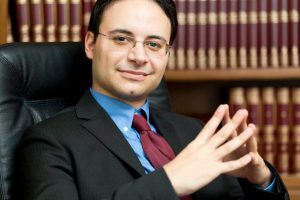 Our lawyers are experts in the field of intellectual property rights and dispute settlement. They will fully help you in confidentiality agreements and financing ones, pertaining to managing complex inventories. We also work routinely with countries outside of the EU, and are familiar with the relevant import/export regulations. International Law Office D. Vladimirov & Partners also provides services for a number of technology companies, as well as research and development ones. If you are a technology or a R&D company, your needs are unique in terms of managing intellectual property. Our law firm has got an established intellectual property practice team, and we can help your company develop intellectual property strategy. In order to preserve and protect your valuable technology undergoing development, we represent you in all the processes necessary. This includes preparation, filing and legal proceedings as regards to patent and tradem ark applications, and we also provide counsel on related intellectual property matters. Likewise, we are experienced in negotiating sale and licensing agreements, as well as in helping monetize your assets in the form of trademarks, copyrights, patents, trade secrets, and technology. We, at International Law Office D. Vladimirov & Partners also have experience in working with individual inventors. We have been able to help inventors who have invented a great idea for a new technology and would like to take care of protecting it, before pursuing further plans. We can offer you an excellent intellectual property practice team. Our lawyers will help you to develop an intellectual property strategy and inform you how to protect your ideas. They will also advise you on many different options (e. g. forming a new venture, licensing, etc.) that you can pursue as your next step. Also, we will protect you against possible infringement on your intellectual property rights.